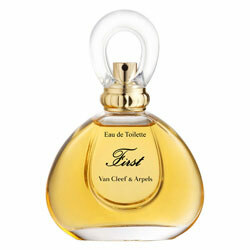 There are 43 reviews of First Eau de Parfum. I'm wearing vintage First. Ah, memories! I never owned a full-sized bottle of this. I burned through 3 or more miniature-sized bottles, decades ago. I considered this an "old lady" scent back then. For me, this was a term of endearment, not an insult. I liked the similarity to Chanel No. 5. I enjoyed its sophistication. What stands out for me are the aldehydes, carnation, tuberose, hyacinth, rose, jasmine. Later, a touch of honey, and amber. Lastly musk, civet, and mossy accords. I don't know how First smells today; if it has changed drastically. If you can get your mitts on a vintage mini or sample, I highly recommend giving this a sniff. 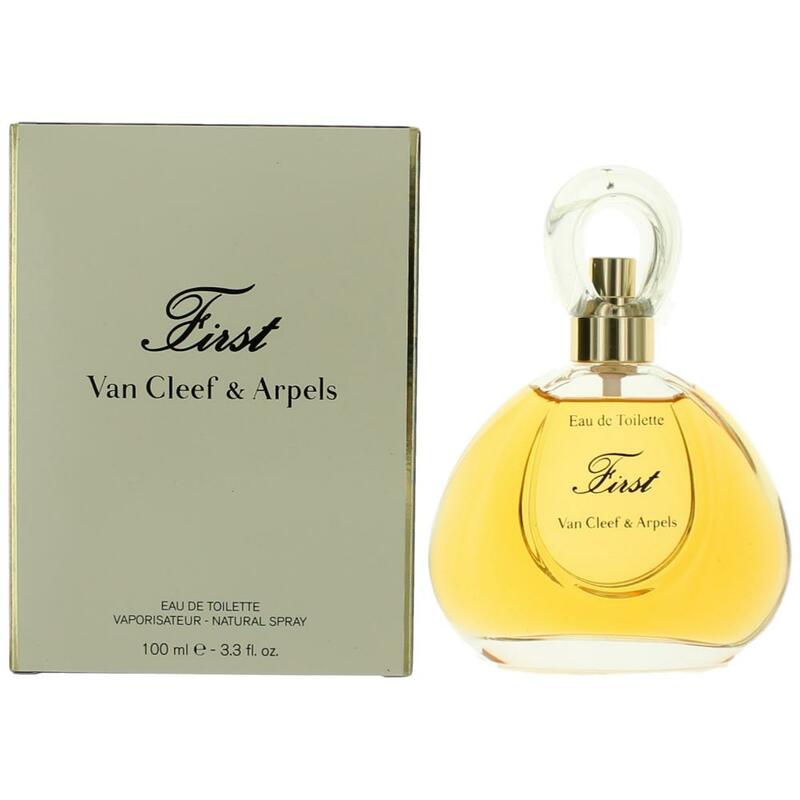 Roja Dove tells us that "Van Cleef & Arpels was the first jewelry company to launch a fragrance." He also tells us that Guerlain's dark rose Chamade was used as a springboard for the creation of First. Turin called it an "aldehydic animalic" and gave it four stars. He dubs it "a full-figured French floral in the most baroque high style,"…"a dark variation on Joy." "It smells rich and humorless." Barbara Herman tell us "First just smells expensive…a big, elegant floral in the vein of Arpege." My reaction was simply that it was a sweet, very feminine floral and not at all to my liking - I can't abide Arpege either. A neutral review because although not bad, it is not good either. For those into overdrive, this anticipated the powerhouse scents of the 1980s. I was sitting behind a woman at an outdoor baseball game years and years ago, and her pretty fragrance wafted back to me. I overcame my shyness to ask her what scent she was wearing. It turned out to be First, and I asked for a bottle for Christmas. Unfortunately, this scent didn't work for me, as it did for her! The light prettiness disappeared on me and turned into something chemical. I wore it for 6 months or so but ended up giving it away. But I still remember that baseball game as one of my first experiences of an "expensive" fragrance... expensive to me, anyway! Kabloom! First launches right in to a huge aldehydic white flower accord the second you spray it on, then proceeds to fill the room with an unseen cloud of jasmine, green muguet, hyacinth, and rose. It’s the same kind of gargantuan bouquet you get with Joy or even Amouage Gold, though it is crisper in texture and greener in hue than either. That this grand, old-fashioned, and unapologetically “perfumey” scent was composed by Jean-Claude Elléna confirms that he’s composing all those bony, gutless scents for Hermès not because he can’t do otherwise, but rather because he wants to, or because the Hermès art directors demand it of him. At any rate, First makes it clear that Elléna is no less capable of building bold, lush, and substantial accords than is Bertrand Duchaufour (who does so more often) or even Dominique Ropion, whose style First closely approaches. First could easily have been part of the Estée Lauder line, right next to Beautiful, Pleasures, and Private Collection. First grows subtly sweeter as it develops, with soft vanilla and a generous sweet amber accord deep in its foundation. Potency and sillage remain impressive for hours before First drifts off into its warm ambery drydown. A grand scent if you like this sort of thing. in the drydwon it turns into lovely honeyed fruity floral bouquet, where i do recognize the seeds for Dia , Amouage. Still i somehow like this one better, becasue it doesnt smell so clean, so fresh, jasmine is warming it up!...its very gentle, longlasting, and feminine scent! 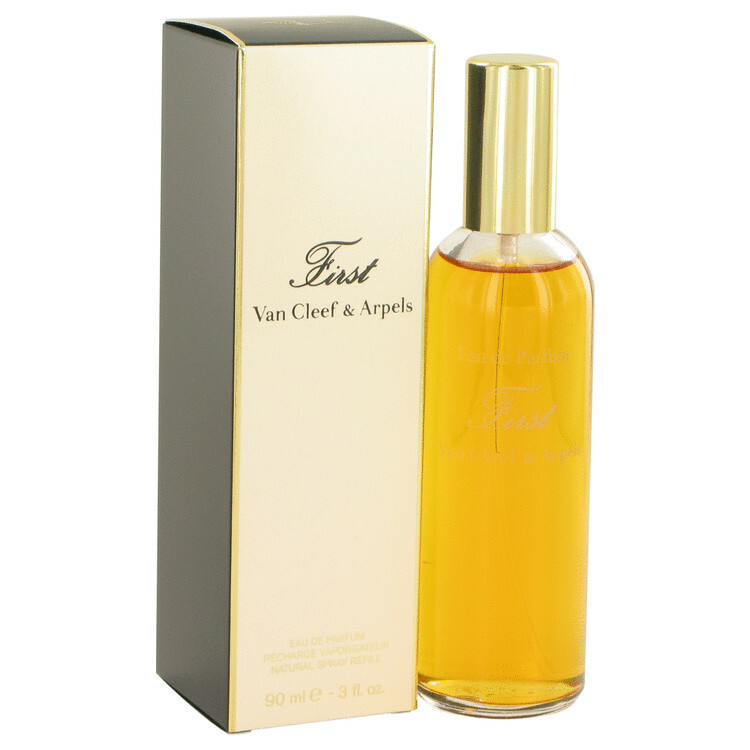 Its very old school type of scent by complexity (reminds me a bit of Chamade too), suitable for the theater.